Apple talked about OS X, iOS 9, watchOS and a new Apple Music service at today's event, when it rolled out a whole batch of feature updates. It's hardly an original name, but Apple Music is the name for Apple's streaming service which will be available for iTunes on OS X and Windows, iOS and Android is coming soon (that's really excellent news). The service enables you to stream everything from iTunes (we guess that includes The Beatles?). There will be stacks of curated playlists as well as full recommendations for albums and playlists. Unsigned artists will also be able to share their music using the service, while there's also a Connect area where artists can post their latest tracks and behind-the-scenes photos. It's essentially a tool for artist-fan interaction. It also features a live 24-hour radio station called Beats 1 featuring several worldwide radio figures including the UK's Zane Lowe. It will be based in LA, New York and London. The concept sounds pretty much like the 48 year-old BBC Radio 1 to us. iOS 8.4's Music app now has a MiniPlayer - a row above the tabs at the bottom. You can tell Apple Music what you'll like and you'll get handpicked recommendatons based on your tastes. Remember Genius? It's that, basically. It's also easy to reorder and choose the next song from a playlist. Apple Music matches other streaming services with a $9.99 price in the US - expect it to be £9.99 in the UK. There's also a $14.99 family version for up to six family members. Again, expect £14.99. You can try it free for three months. Even if you're not an Apple Music member, you can still stream Beats 1. El Capitan is the name for the new version of OS X. It's basically a performance bump with a few new features. In terms of the new OS X features, there are new gestures including swipe to delete in Mail, improved Spotlight search (complete with Google Now-style information including weather and sports scores) while you can also pin sites in Safari. This includes SplitView and other aspects of window management - Apple is obviously keen to match the brilliant window management in Windows 10 (SplitView is actually straight out of Windows 8 - AeroSnap) . A 'Spaces Bar' makes it easier to create multiple desktops. The Metal graphics technology is also coming to the Mac (it previously was iOS-only) for improved detail and game performance. Adobe is committed to adapting Metal for its Creative Cloud apps, with several times improvements in performance possible. Apple says its possible to achieve 50 per cent faster rendering. OS X El Capitan will be released as a public beta in July, with a full and free upgrade available in the Autumn. According to Apple, iOS 9 is 'refined' rather than being a huge new release. Apple says that Siri has become 40 per cent faster over the last year and takes over a billion requests a week and it's clear that Apple wants to make it proactive rather than reactive. One of the really cool things Siri can now do is to search your email for phone numbers - it will now tell you who an unknown number belongs to. In another Google Now-matching move, Siri will now suggest when you need to leave for appointments in your calendar. You're also able to search for more stuff, such as Netflix movies and sports fixtures thanks to a new search API for developers. Plugging in your headphones means that your iPhone will suggest a recent playlist or podcast. Pretty cool - it would be even better if it could do this for third-party apps. Your device can also remind you to read stuff later, should you want it to. Again, like many of these updates, this is reliant on you using Apple's own apps (in this case Safari) rather than third-party stuff. Essentially, iOS 9 is all about intelligence - features that adapt to how you use your device. Apple's Craig Federighi was keen to stress that iOS looks at your emails and personal information on your device; data is not mined in the cloud. Clearly, privacy is a chink in Google's armour that Apple thinks it can exploit. Apple has shrunk the update from 4.3GB (iOS 8) to 1.8GB so that more people can install it. It believes that iOS 9 will give iPhone 6 owners an hour more of battery life. Multitasking for iPad is a new feature that enables you to split screen apps on iPad, much as you can on Windows tablet and some Android devices such as Samsung's Galaxy Tab Pro. iOS 9 for iPad also introduces a trackpad - just put two fingers down on the keyboard and you can use it to move the cursor. Physical keyboards can be used better, with app switching, too. The split between apps can also be adjusted exactly as you want it. You can also do Picture in Picture for videos just like on Android. Apple Pay is coming to the UK in July, with lots of banks. Apple Pay will work with nearly 70 per cent of the credit and debit cards in the UK including MasterCard and Visa. You'll also be able to use it to pay for public transport in London as well as at top retailers including Boots, Costa, McDonalds, Starbucks. JD, Pret, Marks and Spencer and McDonalds. iOS 9 also enables you to add store and reward/loyalty cards to Apple Pay - the right one will automatically be selected when you're in store. Apple Maps also has a new Transit view for public transport in some major cities (including London). Maps will also find retailers that support Apple Pay. There wasn't a lot of talk about the actual mapping getting better, though. News is a new built-in iOS app. It's a Flipboard killer. Apple Newstand is also dead. Like Flipboard - and Facebook's Instant Articles - articles are presented in a clean and curated way. You can pick your favourite news sites and you'll get a personalised feed. It's another app that provides a lovely experience for users and a headache for publishers. It's a bespoke format it seems, and publishers can implement videos, infographics and more. News is rolling out in the US, the UK and Australia initially. There wasn't a great deal of information on HomeKit, but it will have the power to control home automation features remotely such as lights, locks, blinds and your thermostat. Swift, the OS X and iOS 9 programming language, will be open source (that's pretty un-Apple, huh?). Apple will be rolling out the compiler for Mac, Linux and iOS. There will be an iOS 9 public beta in July - the full version of iOS 9 will be out in the autumn. watchOS 2 is the new version of the Apple Watch software. Faster, less buggy Apple Watch apps will be with us in the Autumn. Apps will also be able to access the microphone and accelerometer, play audio via the speaker and short-form video can also be displayed. There's also access to HealthKit information for developers, too. HomeKit will be natively available on the watch. TimeTravel is a new feature that enables you to see upcoming events and temperatures just by turning the digital crown. This version of the software alos enables you to see information from third party apps on your watch face. Transit informaton will also be able in Maps. Apple Pay will also be fully available on Apple Watch. You can also customise watch faces with a photo or time-lapse photography of iconic locations across the globe. Plus, Apple Watch will automatically switch into Nightstand mode when it's on its side and charging - the Digital Crown becomes a snooze button, for example. 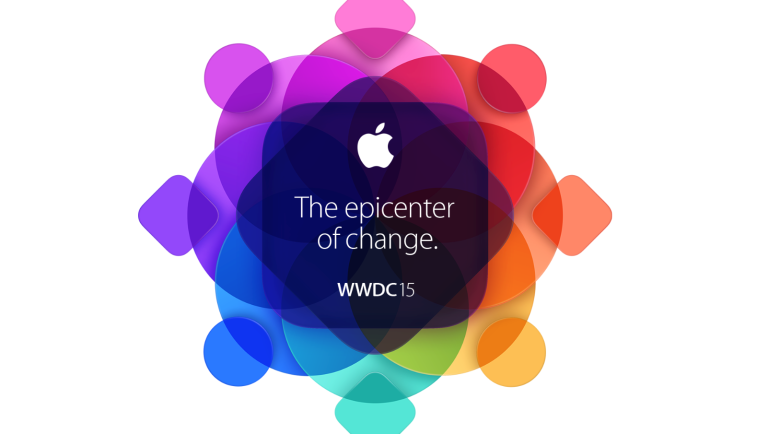 WWDC is (as the name suggests) a developer conference, much like the ones Microsoft and Google put on. The chances of seeing a new iPhone or MacBook here are very slim, and new hardware is usually only announced if it ties in with one of the software updates. We should be hearing a lot more about the direction of both iOS and OS X at the event. iOS 8 has had a good run - but iOS 9 is coming. You can set your (Apple) watch by iOS updates these days - iOS 8 was announced at WWDC 2014, and this year it'll be the turn of iOS 9. Don't expect any big fireworks, however: the rumours we've heard so far by 9 to 5 Mac suggest that the update will concentrate on performance improvements, stability, and some smaller features rather than a major code overhaul. Technically, Apple already has a Spotify competitor having bought Beats (and thus Beats Music) last year. However, Apple is widely tipped to be launching a brand new streaming service of its own at WWDC, built into iTunes and no doubt with parts of Beats Music included. At this stage in the digital music streaming game, Apple has to get involved. HomeKit was announced last year, so will we finally see some actual kit in 2015? HomeKit, the software standard capable of running everything from thermostats to door locks, was launched at WWDC 2014 - but you still can't actually buy anything that works with it. That should change at this year's event, with a raft of product launches expected, and the arrival of a new Home app inside iOS 9 that ties everything together. One of the integrated iOS apps in line for a significant update is the much-maligned Maps. The rumour is that public transit directions will finally get integrated into the software - at least for major cities - as Apple tries to make its own offering as compelling as Google's. Mapping is crucial to so much of the mobile experience, Apple knows it needs to keep up. There's a lot of talk about a major update for the Apple TV. For years it's been rumoured that Apple is building a television set, but now it seems to have decided that the other Apple TV - the small, puck-shaped box - is a better bet. Speculation is rife that the box will get a major software and hardware upgrade, and live television streaming could even be on the cards. It's likely to become the main hub for HomeKit too. Yosemite stole the show at last year's WWDC, so OS X might not get as much attention this time around, but there should still be a good number of updates. If we do get a glimpse of Yosemite's successor, then the dominant theme will be the same as the iOS one: upgrades focusing on security and stability rather than any major new innovations for users. Has the Apple Watch been a hit or a miss? 2015 has been all about the Apple Watch for Tim Cook and his company, so it's highly likely that at least some time is going to be devoted to the smart wearable. Developers have shown huge interest in making apps for the timepiece, so Apple will want to keep them updated with new features and capabilities coming down the line in the near future. 9. Will Apple go Proactive? Siri is often spoken of in the same breath as Google Now, but these two digital assistants aren't really tackling the same sort of jobs, even if there is some overlap. Apple is rumoured to be readying a more Google Now-style assistant called Proactive - it will automatically display timely information as and when users need it, much as Google's app does. The rumours are that the iPad is about to get bigger. We've said WWDC isn't usually the place for new hardware, but it's not unheard of. iOS 9 is said to include a new split-screen option for iPads, and if that's true then we might finally see the long-awaited iPad Pro - the unconfirmed slate apparently ups the screen size to a sizeable 12.9 inches and will be aimed primarily at business and enterprise customers.